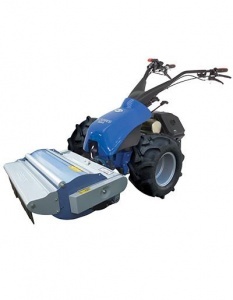 For a 85 cm wide flail mower that enjoys effortless manoeuvrability, complete control and easy operation thanks to its hydrostatic drive and assisted hydraulically controlled steering, look no further than this machine. Able to effortlessly cut vegetation on steep slopes up to 40 degrees, this machine is powered by an impressive Honda Banks engine, with wide lug wheels ensuring safe and efficient operation. With a 85 cm flail mower included. 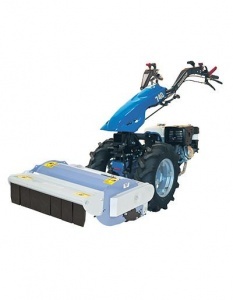 Built around BCS's most popular two wheel tractor power unit, as well as being an extremely capable 85 cm wide flail mower, this machine is incredibly versatile, able to be fitted with over 25 additional implements.